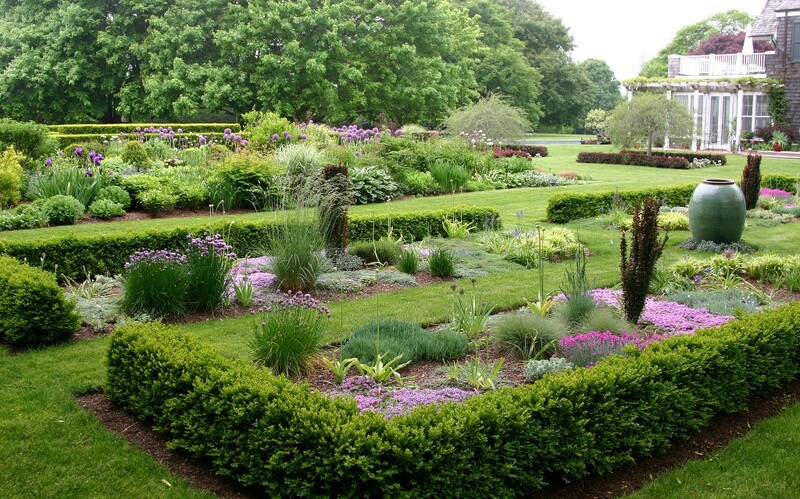 Long Island Residence - Blondie's Treehouse, Inc.
An 8 acre estate on Long island with large mixed herbaceous beds, clipped hedges and mature trees. 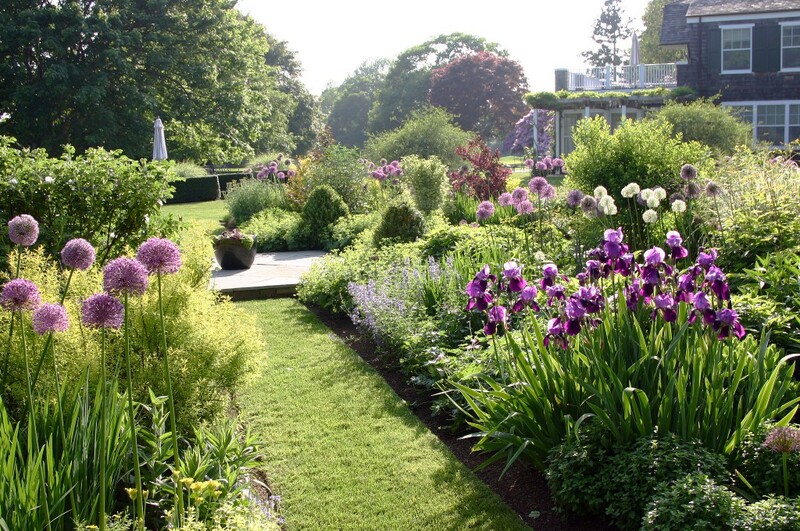 Numerous bulbs and annuals are planted throughout to extend the season. 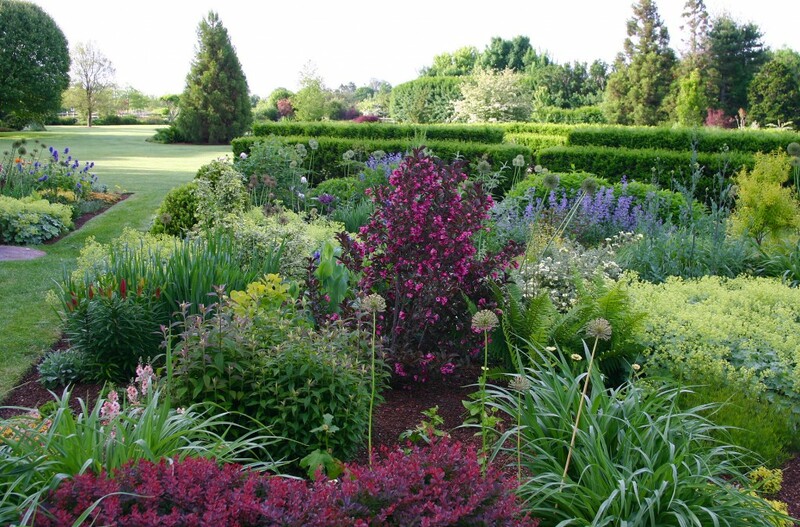 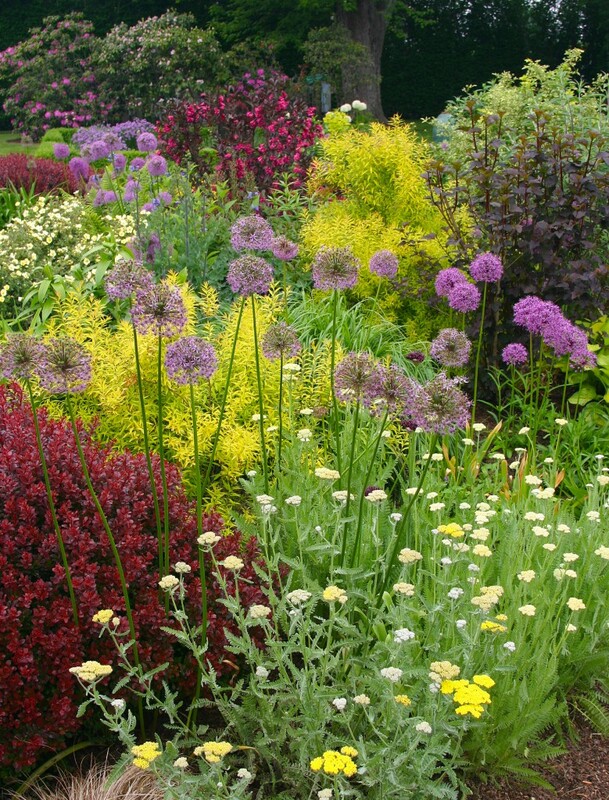 A rectangular herb garden lined in boxwood was planted with various thyme species to suggest a carpet of color in the spring. 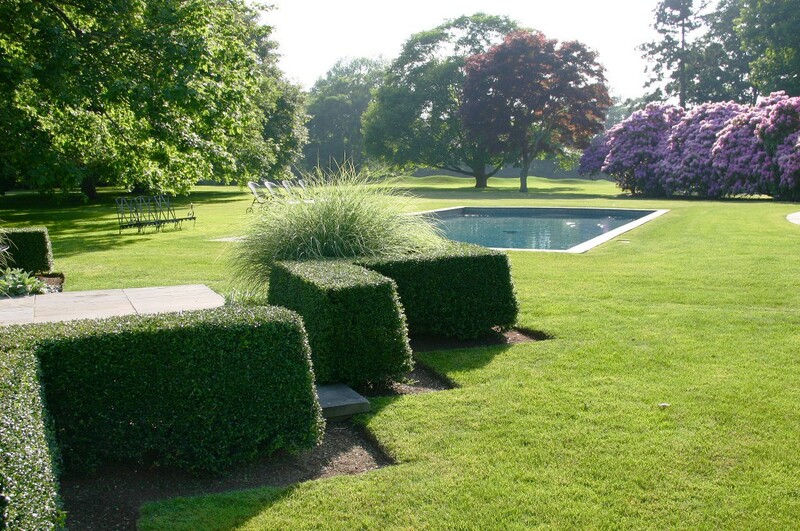 A small patio flanked by zigzag box hedge punctuated with grass aligns with the calm plane of the swimming pool.